A company spokesperson said that they did not want to make a fuss about it and just shared the hilarious incident with everyone. In an incident that is perhaps one-of-its-kind, international airline Cathay Pacific painted its own name incorrectly on a new plane. In a gaffe, Cathay Pacific's newly-painted plane was sporting a new version of its name - Cathay Paciic! According to reports, the Boeing 777-367 even completed a journey. The plane flew overnight from Xiamen in China to Hong Kong, where it arrived in the early hours of Wednesday. 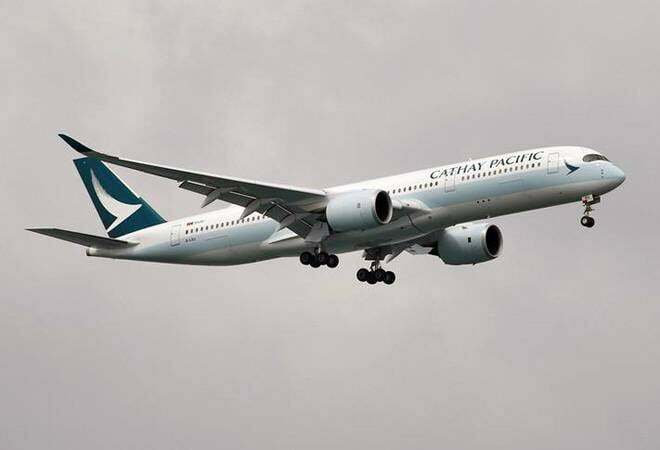 A couple of passengers spotted the mistake and contacted Cathay Pacific. The airline said that the plane will now be sent back for repainting. "Oops this special livery won't last long! She's going back to the shop!" the airline tweeted. Oops this special livery won't last long! She's going back to the shop! While Cathay Pacific publicly accepted its mistake and brushed it off, it is not clear how this mistake came to be. An engineer for Haeco, a Cathay Pacific subsidiary pointed out to South China Morning Post: "The spacing is too on-point for a mishap. We have stencils. Should be a blank gap in between letters if it was a real mistake I think." A company spokesperson told CNN that they did not want to make a fuss about it and just shared the hilarious incident with everyone. "We did not intend to make it a big fuss in the first place, but photos went viral within the aviation enthusiastic groups, so we just shared the hilarious moment with everyone," said the spokesperson. Netizens saw the opportunity and took it. One user tweeted, "No one gives a F anymore, not even the painters! ", while many urged the airline to change their Twitter handle name to Cathay Paciic. Cathay Pacific is one of the top airlines in the world. It was ranked No. 6 in Skytrax's annual World Airline Awards in 2018.